As I have discussed in this blog post the Russian Simplified Taxation System (STS) offers many advantages to small business operating in Russia. But STS is not for everyone. For example, it is not meant to be used by foreign companies setting up a Russian subsidiary. Subsidiaries of foreign companies in Russia should apply the General Taxation System. Among other things, this means that they will have to pay corporate tax on their Russian profits. 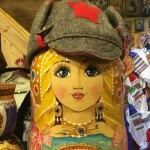 In this blog post, I will discuss the Russian corporate tax in detail. The general corporate tax rate in Russia is 20%. This is broken down as follows: 3% goes to Russia’s federal budget and 17% goes to the regional budget (the budget of the Russian region where the taxpayer is active). This breakdown is valid up until 2023. In 2024 2% will go to the Federal Budget and 18% to the regional budget. This is the general rule. To certain activities and in some regions, however, a lower rate applies. I will provide details about that below. But first, I will explain what exactly corporate tax in Russia is. 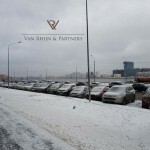 Corporate tax in Russia is a direct tax that is levied on the profit that an organization makes. Profit of an organization is defined as its revenue minus its expenses. Instead of using the term “corporate tax”, it would be better to call it “tax on profit of an organization” (налог на прибыль организации), which is a literal translation of the Russian words used. But, since corporate tax is a more familiar term, I will stick to this. Revenue, according to Russian law, is not only money being paid to the organization, but also things it gets to use for free, for which they normally would have to pay. For example, if the organization gets a loan without interest or against an interest percentage lower than is common in the market, the difference between the normal interest rate in the market and the rate it actually pays times the amount of the loan will normally be regarded as revenue in Russia. In order to determine if expenses are economically justifiable, the following question has to be answered affirmatively “Has the organization incurred these expenses with the aim to generate revenue?” Also if the organization has not actually succeeded in generating revenue by making the expenses, they will still be economically justifiable. What counts is the aim. Money that is spent on advertising will be a justifiable expense, because the purpose of advertising is to generate more revenue. To determine whether expenses have been documented as they should (the second criterium), we should look at Article 9 of the Russian law On Bookkeeping. Every economic operation should be laid down in a primary accounting document. It is not allowed to take primary accounting documents that are not based on real economic operations into account. This shall include imaginary and feigned transactions. The demands to a company’s paperwork and especially regarding the so-called primary accounting documents are very specific in Russia and will be discussed in a separate blog post. Here it suffices to say that, if your company’s expenses are not properly documented, you will have trouble deducting them from your revenue to calculate the company’s profit and the amount of corporate tax it has to pay. Revenue from sales of goods, services, and of property rights to a good, Article 249 Russian Tax Code. Revenue in the form of statutory interest that they receive when their debtor doesn’t pay them on time. Which organizations have to pay corporate tax in Russia? organizations, which are the responsible party of a consolidated group of taxpayers. A consolidated group of taxpayers is a voluntary association of taxpayers on the basis of a contract between them. In this contract, one or several entities are appointed as responsible parties for the entire group (Article 25.1- 25.3 Russian Tax Code). Conditions for registering a consolidated group with the Russian Tax Authorities are strict. In the year before registration, no less than 10 billion rubles of tax has to be paid by the group in its entirety and the total revenue in this year should be no less than 100 billion rubles ( around 143 million USD or 124 million Euros). Which organizations are exempted from paying corporate tax in Russia? Organizations that have the status of a member of a research or commercial project of the Skolkovo Project for Innovation are exempted from paying corporate tax in Russia for a period of 10 years, from the moment they acquire this status. If they lose their status, they will also lose their tax exemption. Revenue earned from games of chance in Russia are taxed with the Tax on Games of Chance. This revenue is therefore exempted from corporate tax. The Russian organization that receives the dividend owns at least 50% of the organization that pays the dividend. At the moment the decision to pay the dividend is taken, the receiving Russian organization has owned this 50% for at least 365 days. Profit of an educational organization. This includes daycare centers for children. This rate is applicable six tax periods (which usually coincide with calendar years) from the moment of receiving the first profit. During the course of the year, the taxpayer should pay advance payments for the corporate tax. A fiscal year in Russia coincides with the calendar year. The final tax declaration of the past year must be made no later than March 28 of the following year. The corporation tax has to be paid by means of monthly advance payments (Article 286).